RAWALPINDI/QUETTA: One Frontier Corps soldier was martyred when an army aviation helicopter crash landed near Quetta on Thursday. 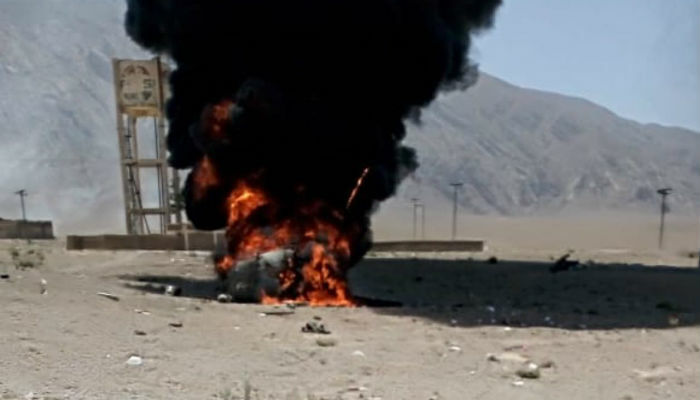 According to a statement issued by Inter-Services Public Relations, the soldier was in an injured condition when he was being flown from Kahan in Kohlu district of Balochistan to Quetta in the helicopter. He was martyred after the aircraft crash landed near the provincial metropolis. At least six crew members of the aircraft got minor injuries. They were shifted to Combined Military Hospital for treatment, DIG Quetta said. On May 8, a training plane, which departed from Walton Airport, crashed in Lahore in which two pilots who were flying the plane sustained minor injuries. According to an eyewitness, the plane had crashed after catching fire. Further investigation had revealed that the aircraft was a Rans S6-ESD-XL Coyote II a Kit and Light Sport Aircraft. The single-engine, wooden-propellor was manufactured in 1997 and was registered in London. In 2012 the aircraft was registered in Pakistan.